Is your Chemo Drug Causing Hearing Loss? Cancer Support system? What support system? Can a Cancer Diagnosis Cause PTSD? A cancer birthday for one of us gives hope to all of us. It was three years ago this month that I was diagnosed with breast cancer. I have much to be grateful for as I continue to add time, day by day, to my life. The goal for many of us with cancer is not to simply live longer, but to have some degree of “normalcy” in our lives and to carry on without the need to remember every day that we are surviving a potentially deadly disease. But I do think about it every day. In the morning when I take my usual dose of Turmeric and vitamin D, I remember. In the afternoon when I go out to exercise with a game of Pickle Ball or a bike ride, I remember. When I pause to sit for 20 minutes in meditation, I also remember. In fact, every positive move that I make throughout the day is a reminder to me that I am consciously doing good things to give my body and my attitude a boost. It’s easy to look back on my life, remembering those reckless years of youth, living in the 60s and wondering how I could take those risks back then that are often attributed to the young — eating poorly, staying up late, pool games and beer — and assuming that I had so much life ahead of me that there was no need to be overly cautious about my lifestyle. While I really don’t have regrets about all that, I wonder what it would be like if kids in elementary school could be introduced to the basic concepts of good nutrition, the benefits of exercise and a more complete understanding of the mind-body-health connection. Could it make a difference? Dr. Andrew Weil from my home state of Arizona is considered to be a premier expert on nutrition. He reports that a study conducted by the department of nutrition at the University of North Carolina at Chapel Hill, found that only 28 medical schools (27 percent of those surveyed) provided 25 hours of instruction in human nutrition. Four of the schools surveyed offered only optional nutrition courses and one provided nothing at all. Overall, this study concluded that medical students received an average of 19.6 hours of nutrition instruction over their entire four years of medical school. I don't recall discussing my nutrition or diet with my previous doctors. But I certainly don't blame them for that. I think it's up to us to ask the right questions. But with the exception of these last three years, it's not something I've thought a lot about. So looking back on my early, pre-cancer years, I can see that things could have been done differently. But this third-year birthday is not the time for remorse or disappointment. After all, my “new life” started just over 1,000 days ago. I am an infant in cancer survival. But I’m open to change and improvement in my life and the wonderful part about being alive now is that there is so much information, advice and wisdom available to all of us in these modern times. CURE magazine is a remarkable source for all of us. Here we find the latest scientific research, the handy tips for making our lives with cancer a little more comfortable, the inspiring stories and the often expert advice. It’s also a place where we celebrate one another in our great achievement of surviving while adding to the knowledge pool for all who come after us through our own experiences, sharing how we can of live alongside cancer. 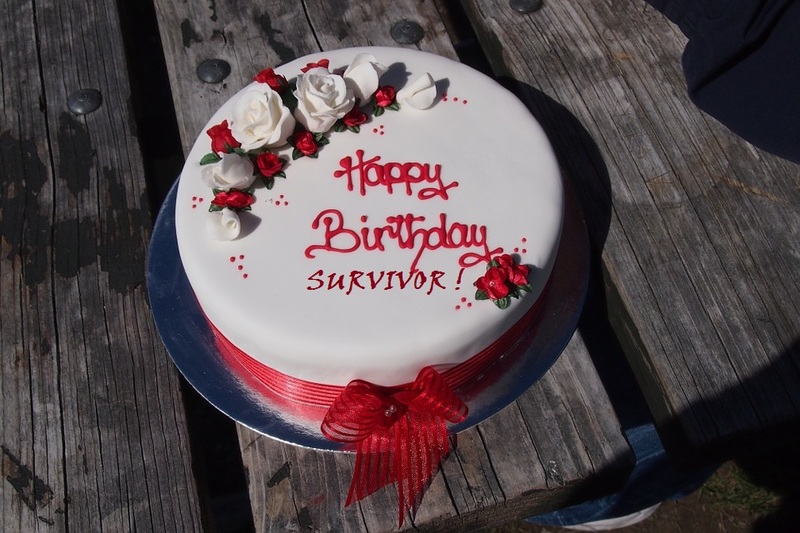 So, I’ll say “Happy birthday to me” this month, and to the many thousands of survivors who give me hope and encouragement with their own achievements, some small, some enormous, but each and every one of them worth celebrating.